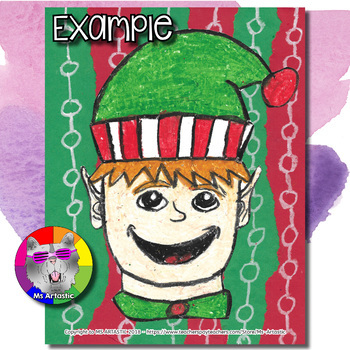 Christmas art inspired by a Christmas Elf; a perfect lesson to engage students before the Christmas festivities begin! 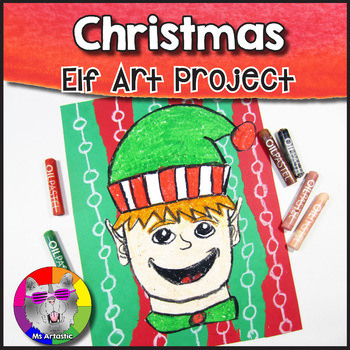 Students will use ripped paper and oil pastel to create a unique Christmas Elf Art project. They will also explore the use of pattern to create background texture. 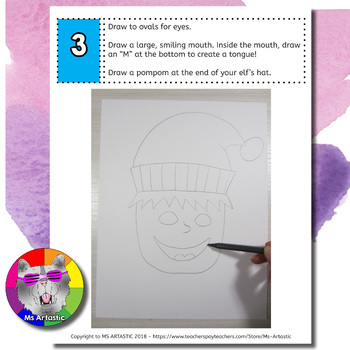 This Christmas Art piece involves drawing, ripping, cutting, and coloring and will keep your students engaged during the holiday season. 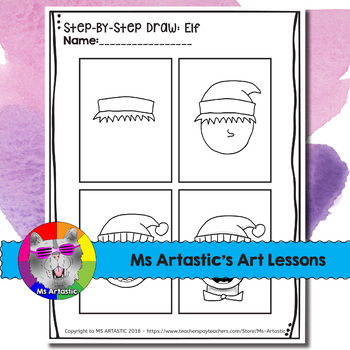 This product is complete with a visual and text step-by-step (each step on its own page with description), a rubric for marking, a lesson plan, a finished example, and a step-by-step drawing handout to allow your students to create this piece successfully! Get more ✂ARTASTIC✎ Winter and Christmas products!